Water is life. The People’s Water Board advocates for access, protection, and conservation of water. We believe water is a human right and all people should have access to clean and affordable water. Water is a commons that should be held in the public trust free of privatization. 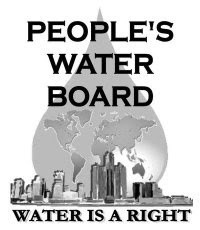 The People’s Water Board promotes awareness of the interconnectedness of all people and resources. Commons at 4605 Cass Ave. Enter off of Forest.